The former Union Minister also noted that the BJP will not forge a pre-poll or post poll alliance with any party. 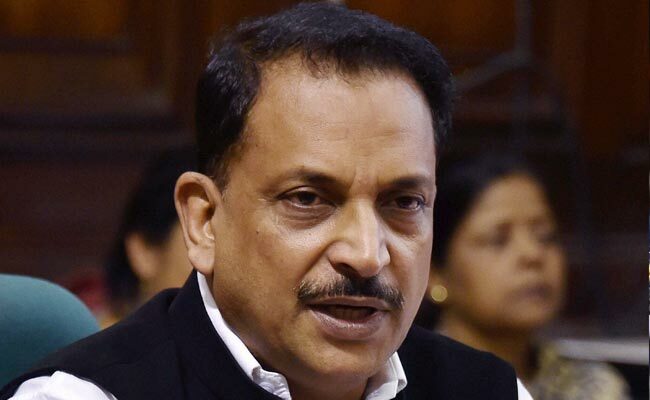 Shillong: Senior Bharatiya Janata Party leader Rajiv Pratap Rudy on Sunday voiced confidence that his party will form the next government on its own in Meghalaya after the February 27 assembly elections. "We are fighting the elections on our own, and the party workers are hard to ensure that the party forms the next government on our own," Mr Rudy told journalists after attending an internal party meeting here. Moreover, the former Union Minister also noted that the BJP will not forge a pre-poll or post poll alliance with any party. Terming BJP President Amit Shah 'magic', Mr Rudy said: "In whichever state he (Amit Shah) makes inroads, he conquers it." The BJP, which failed to win a single seat in the 2013 assembly elections, has fielded its candidates in 47 seats. These include four former legislators of the ruling Congress-led Meghalaya United Alliance government. Criticising the Mukul Sangma-led government, Rudy said: "Except the roads constructed by National Highway Authority of India, there isn't much of which Meghalaya should feel proud about its government." He also accused the ruling Congress government for its failure of not utilizing central funds sanctioned by the Centre.